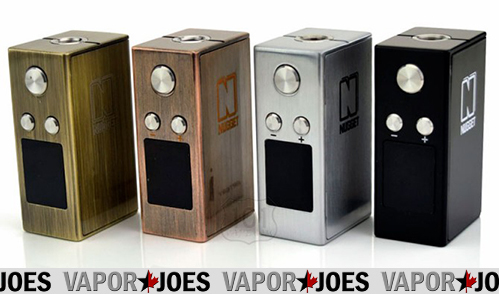 If you like the Mini Volt – your going to LOVE the nugget! Its hilarious how well this box mod is for how small it is. Its a solid piece of metal. You will be shocked how heavy this little guy is. What makes this box mod superior to the Mini volt is it’s 10 more watts and Temp Control. It also has a larger display. They roughly the same size but the Nugget is a little thicker.